Home / Training Advice / Wanna Be Derby Famous? There are basically two ways to become derby-famous. 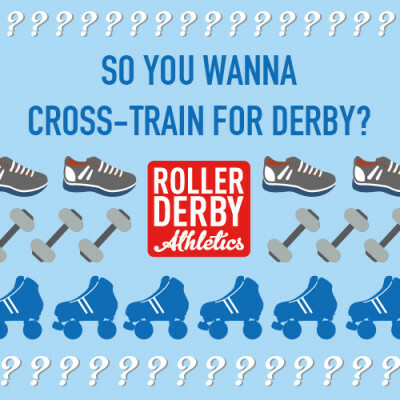 Option 1: Train 5 or more days a week for years, possibly move to another city or country to join a top tier league, and crush the souls of your opponents at every tournament. 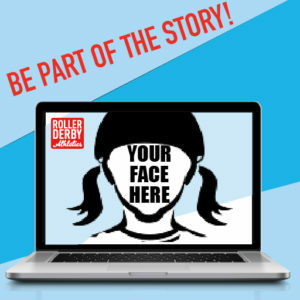 Option 2: Submit a photo or video clip, and be a part of Roller Derby Athletics’ next video ad for online boutcasts!! I want to include images of everyday folks in the derby community in my next ad for live stream bout broadcasts, so I’m asking YOU to contribute images you love, or love to laugh at! 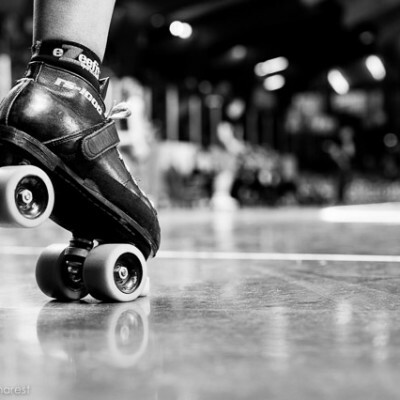 I don’t want to give away the whole content of the ad, but in short it will be a journey through both the struggles and the joys of roller derby (and I know we all have a lot of experience with both). Images and videos will appear on the screen only briefly – think 2-3 seconds each at most. I think it’s gonna be pretty fun! You and your teammates celebrating a win! Still photographs are great, and video is even better. Submit by Wednesday, April 5!! Video can definitely be of hand-held camera phone quality – it doesn’t need to be super pro! Your league’s Instagram or YouTube images can be a good source too. If you want more detail before submitting, please email me directly and I can provide you with the script. Thanks for helping me and RDA reach more people, to help them be unstoppable! If I choose to feature your image/footage, I will obtain releases from the photographer or owner of the content, as well as anyone who appears prominently in the footage, so be sure you know who it belongs to and can help me to get their names and permission if yours is chosen! You may submit as many different images/videos as you like that fit within the themes provided. We will contact you if your image/footage is selected. We may not be able to respond personally to all entries. Please ensure that the rights to use the image or footage are likely to be obtainable before you submit! In other words, you must know how I can contact the photographer and the people in the image/video to get their permission. Email hello [email protected] rollerderbyathletics.com by Wednesday April 5! Link to the image or video file on Dropbox, Google Drive, or other online data-storage (ensure privacy settings for the file(s) will allow us to access!) OR, link to online video. Please note if the image is owned/copyrighted by your league or another entity. Thanks!! I can’t wait to see what you’ve got for me! !